Kyle A. Miller: First submission! 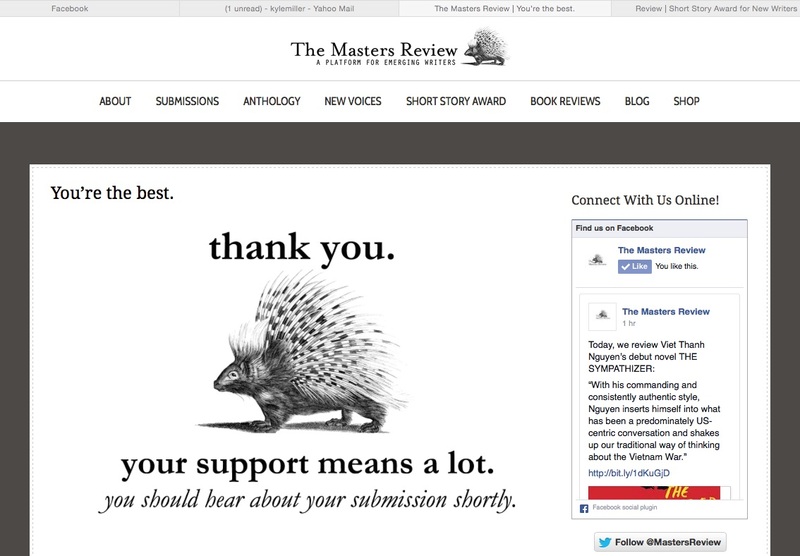 Decided to try The Masters Review first because of their focus on emerging writers. I can always try Tor.com next. Now I can return to my novel work!